MOTIVATED SELLER - MUST SELL. 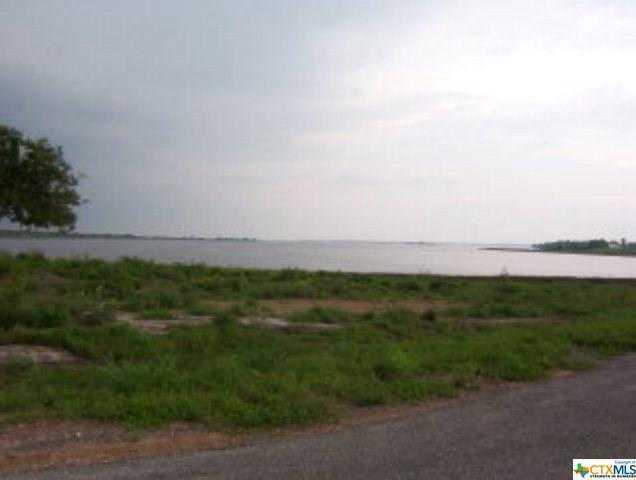 Beautiful waterfront lot in nice subdivision with low HOA fees. Enjoy the gorgeous views of Chocolate Bay from your property and GREAT fishing in your own backyard. You can obtain a permit from the Corp of Engineers to build a pier. Only a short drive to the boat ramp and you are in fisherman's heaven. This subdivision has new homes being built regularly and is just outside the city limits of Port Lavaca on the way to all the beaches. Only 2 1/2 hours from San Antonio, Austin or Houston. Most waterfront lots sell for much more than this and this one is 1/2 acre! Only a short drive to Port O'Connor or go by boat to the Intercoastal Canal. Courtesy of RE/MAX Land & Homes on the Bay. MOTIVATED SELLER – MUST SELL. Beautiful waterfront lot in nice subdivision with low HOA fees. Enjoy the gorgeous views of Chocolate Bay from your property and GREAT fishing in your own backyard. You can obtain a permit from the Corp of Engineers to build a pier. Only a short drive to the boat ramp and you are in fisherman’s heaven. This subdivision has new homes being built regularly and is just outside the city limits of Port Lavaca on the way to all the beaches. Only 2 1/2 hours from San Antonio, Austin or Houston. Most waterfront lots sell for much more than this and this one is 1/2 acre! Only a short drive to Port O’Connor or go by boat to the Intercoastal Canal. Please, send me more information on this property: MLS# 366836 – $55,900 – 31 S Blue Heron, Port Lavaca, TX 77979. I would like to schedule a showing appointment for this property: MLS# 366836 – $55,900 – 31 S Blue Heron, Port Lavaca, TX 77979.